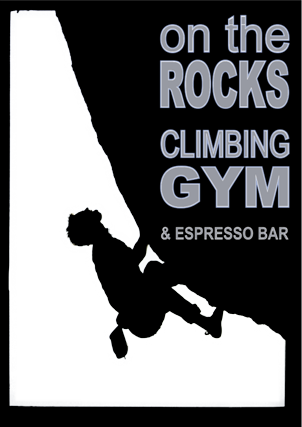 Your indoor climbing gym for Campbell River. A little bit of the outdoors – indoors. Indoor rockclimbing is one of the fastest growing sports in North America, and because of the amazing benefits gained by taking part, we are seeing more people using the gym as an alternating fitness workout. 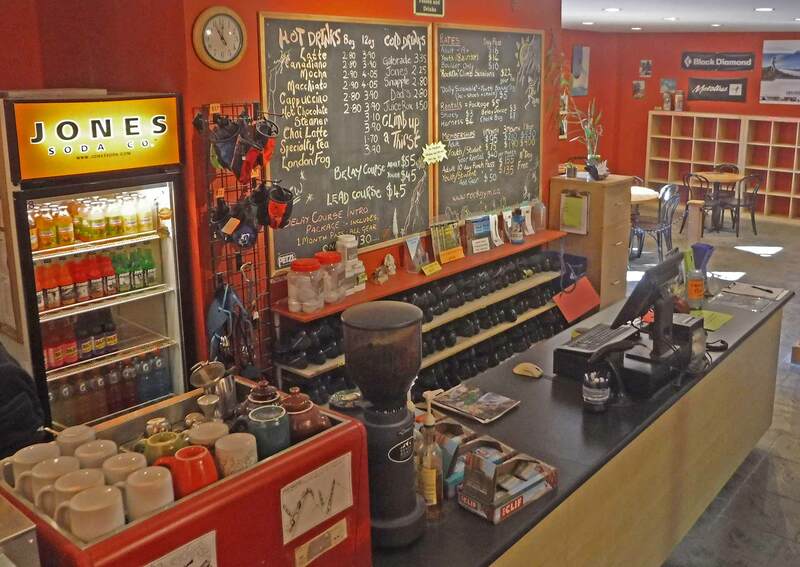 As one of B.C.’s leading and more modern indoor climbing facilities, we are able to offer you a clean and comfortable environment in which to take part in this popular, ever growing sport. On the Rocks offers climbing options for beginners to intermediate climbers, for top-ropers, lead climbers, or boulderers. 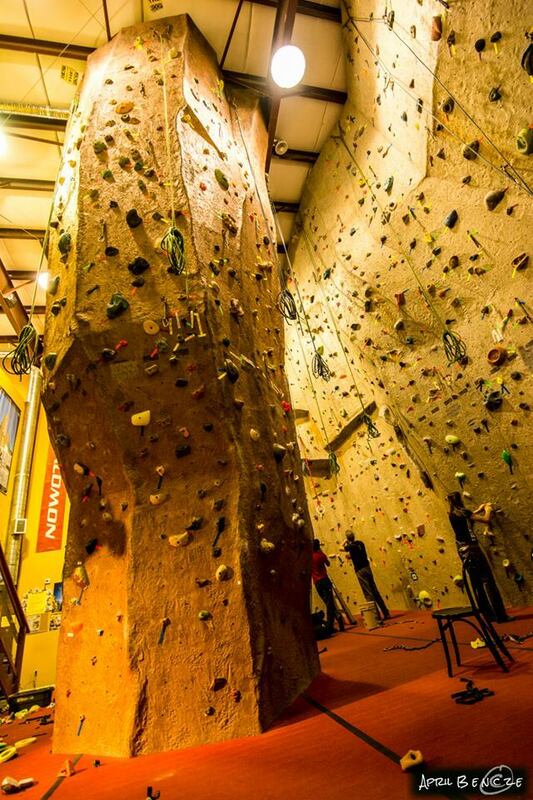 Our 35ft walls are coated with textured concrete to give a realistic feel to your indoor rock climbing experience.erience. The main climbing area has 18 “top rope” stations with 5 to 6 routes on each rope (approx 90/108 total) and numerous “lead routes” are available for the more advanced climbers. Bouldering is climbing without the use of ropes/harnesses. Routes are comprised of shorter sequences. On the upper level we have a “cave” dedicated to bouldering. Routes are designed for those who require a gentle warm up to more challenging problems for the pros. Climbing can be an intimidating sport to try for the first time. We know, everyone had start somewhere. Take one of our drop in sessions and learn a new skill or take your climbing to the next level in one of our courses. 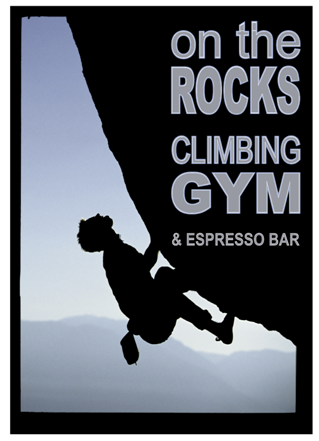 Click the button below to find the rates for bouldering, top roping, leading climbing, month passes, punch cards more. Looking for an alternative party theme? Whatever the celebration, our guided climbing parties are the answer. We take care of the ropes and you get to climb our walls and have fun… When your group arrives, our staff will take care of all the harnessing and belaying for the session. 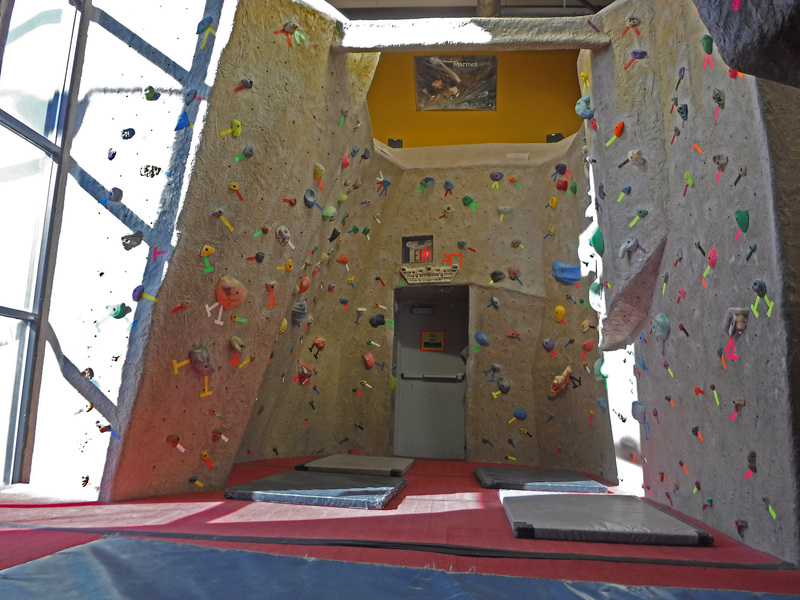 The main climbing area has 35 ft walls coated with textured concrete to give a ‘real’ feel to your climbing experience. We have 18 “top rope” stations, with 5 to 6 routes on each rope (90/108 total) and numerous “lead routes” are available for the more advanced climbers. Don’t have a climbing parntner ? We have 5 ‘Auto Belay’ units available for use during your climbing session. These are a useful addition to the gym environment and allow individuals to climb and train with out the help of a partner. You’ll often see climbers doing ‘laps’ on the ‘auto belay’….a great way to build endurance. On the upper level we have a “cave” dedicated to bouldering. While you are here, why not sample one of our specialty coffees or enjoy a cold beverage and kick back in our lounge area? 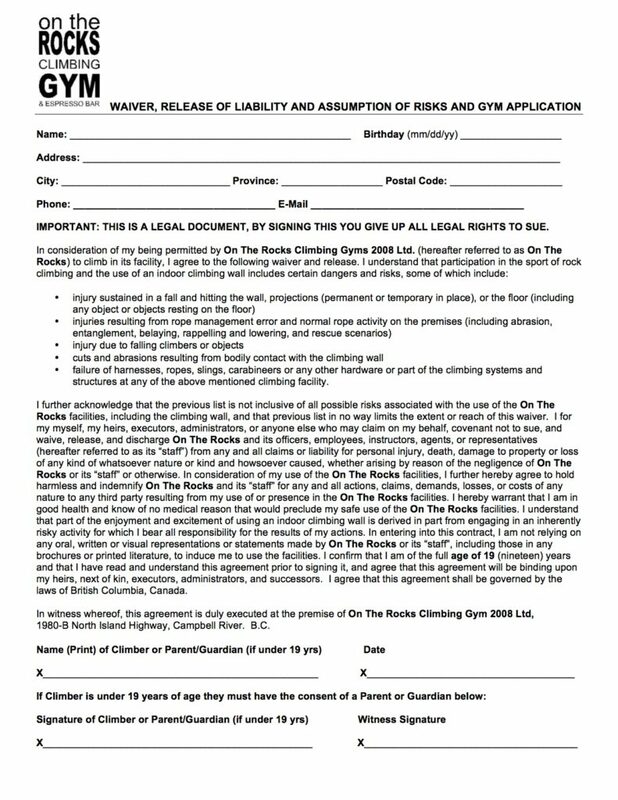 Come prepared and have the waiver filled out before you get to the climbing gym. It’ll make registration that much faster when you arrive! Just In! For the budding bouldering enthusiast!